It’s hard for me to believe that I’ve had the privilege to see my 13th year of living and working in Tanzania. In 2005, its vast beauty and gregarious people took me on an adventure I could never have fathomed. Still, while I have come to adore much of life here, I often still think of what it means to be home. Home. Considering all the places in the world, I think it’s where most of us would choose to be. Among friends, family, and community, enjoying their kind presence with a sense of peace. A place where one has access to resources and opportunity. With our world’s current level of human displacement, however, we know this is not the case the world over. Each day, millions of people traverse the globe in search of a better life and a better future. Recently, a good friend of mine in Tanzania received the grim news that his symptoms of severe abdominal pain were the result of acute kidney failure. While treatment might be readily available in many countries, only a handful of dialysis machines existed in our northern region to unburden his hurting body of the increasing amount of toxins in his blood. Not only was it discovered to be quite expensive for the weekly treatments when compared to local levels of income, but also at least a 200-kilometer drive away. In 2012, thanks to his sponsor, 14 year old Barakael Kenedy began his 7th grade studies at the Mungere School. the procedure will now be offered at other institutions across the country. Luckily, my friend is now poised to undergo the surgery at the hands of Tanzanian surgeons within the next two months, saving him from what otherwise would be a death sentence.My friend has hope, thanks to the physicians and surgeons who are professionally trained and here locally to assist him. While the current ratio of medical doctors in Tanzania is only one to every 20,000 patients, compared to an ideal recommended ratio of one doctor to 300 patients, it is the future doctors, nurses and medical personnel who are in schools today who are the key to changing that statistic.The resources and opportunities are coming home, thanks to projects like the Mungere School. With 180 students enrolled by the end of this year and 48 graduates currently enrolled in tertiary education programs thanks to our new Mungere Beyond Program, a handful of our first graduates are poised to join their first pre-medical college coursework in early 2019. This includes one of our 2016 graduates, Barakael Kenedy, who dreams of becoming Mungere Village’s first medical doctor. None of this would have been possible without the steadfast support of some of the most generous and caring hearts of others far away who began their unwavering support in 2012. Barakael, at his Mungere Graduation in December 2016, is now poised to begin his university coursework next year. We are making a difference, together. 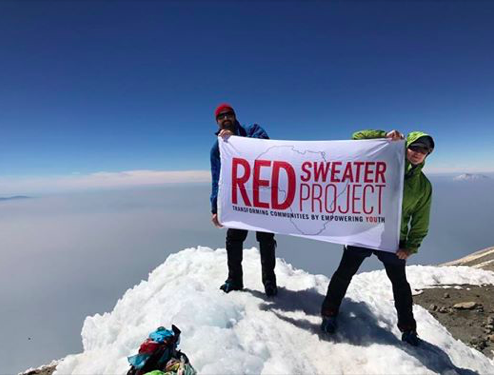 After months of preparing, 15 supporters took to the slopes of Oregon's Mt. Hood. This amazing group raised over $37,000 for the students at the Mungere School. The school's students and staff and our global community are thankful to their amazing work! Watch highlights from the climb. Sophia Issa and Trifonia Just are two small girls with big personalities. These incoming 7th graders have taken advantage of their first months not only to learn about new subjects, but also to get acclimated with the school grounds, make new friends and learn how a student at Mungere can make the best of her education. While western schools encourage students to engage in creative projects, the Tanzanian classroom tends to focus on the basics of writing and reading academic texts and non-fiction. Libraries are scarce and creative resources minimal - but not at the Mungere School. 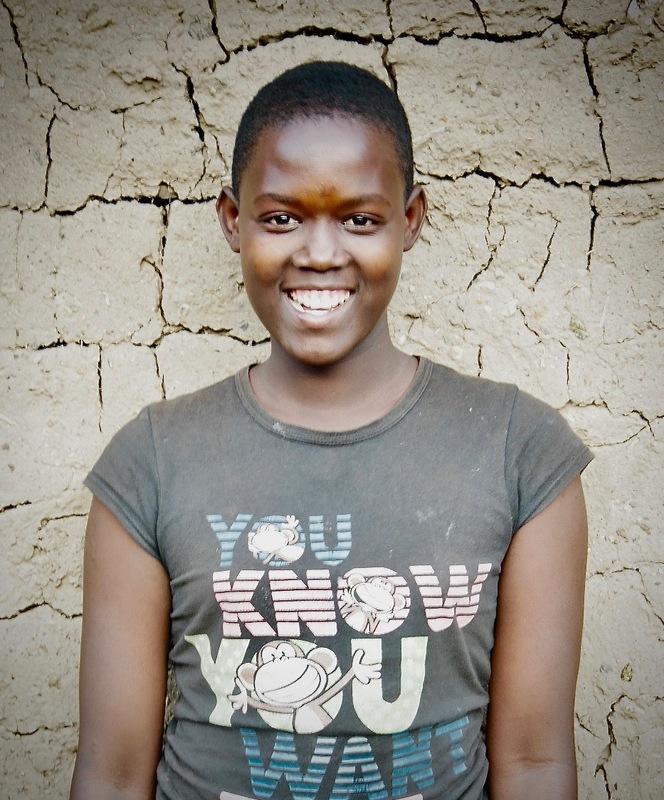 Asia is a current Form I student at the Mungere School who walks onto campus every day with a big smile on her face. She enjoys helping her fellow students with homework and learning new things as often as she can. When she is not in school, Asia loves to spend time with her family and friends. When she finishes school, Asia looks forward to using her education to become a successful businesswoman and hotel manager. She has natural leadership skills and hopes to one day inspire other young girls that anyone can succeed with hard work and determination. Sponsoring a child like Asia equips them with everything they need to be successful in the classroom. It’s also an opportunity to build a lasting, meaningful friendship. Visit our sponsorship page to learn more.